I discovered that the high-tech features can also be the ones that are more prone to breaking, and getting a washing machine repaired can be very expensive. Then there’s the issue of conflicting reviews. The same machine can garner a 5-star rating on the Home Depot website from a bunch of reviewers and a 1-star review from many otbhers. How do you narrow all of this down to the washing machine that will work best for you? And so here’s my washing machine buyer guide for you! You can pay anywhere from $350 to well over $1,200 for a washer, and that’s not including taxes. Some stores offer free delivery. Home Depot offers free shipping on most orders over $45. Count on spending an extra $10-$20 to have ybraour old washer hauled away, and around $65 for installation of the new one if you don’t want to install it yourself. Plus, the installation technician may not be allowed to detach your old one. It’s not hard to do, but you will have to turn off the water and electrical power running to it. People often ask me what I ended up buying. 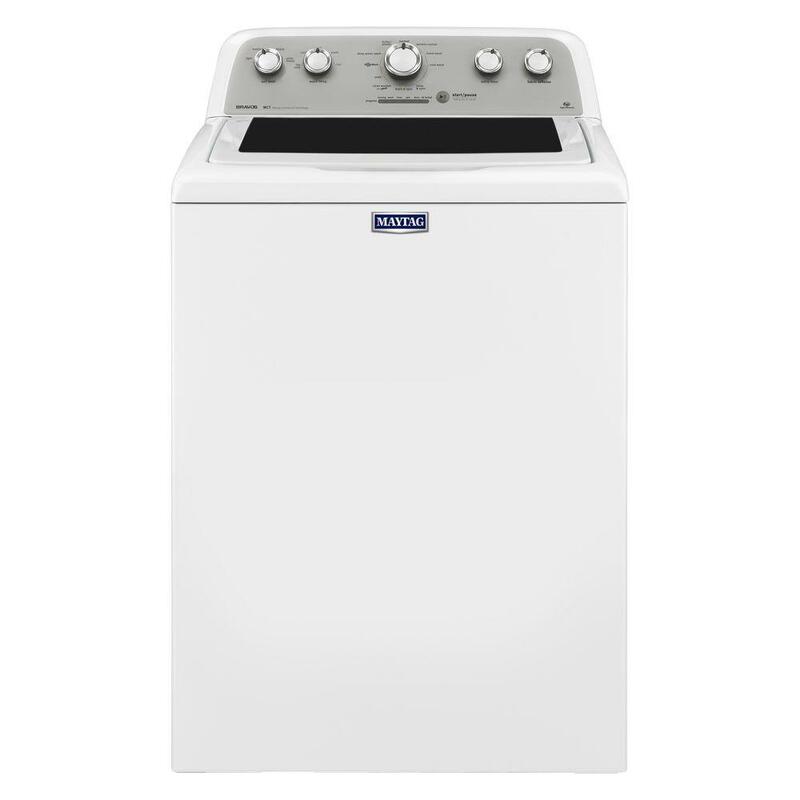 Here it is: the Maytag Bravos MVWX655DW for $630, which puts it in the mid-range price category. Honestly it was the old-fashioned buttons and large drum that sold me on it. I love it, and I definitely don’t feel I’d get more of what I needed by spending a lot more. To see my full review, check out this article. There are top loaders and front loaders. The front loaders supposedly do a better job in general, but they also tend to be larger in terms of depth (see size issues below). If you keep your washing machine in a small room or hallway closet, this could be the variable that rules out half the models for you because the front loaders may stick out too far. Make sure to check the size specifications on every washer you’re considering! There are much smaller “portable washing machines,” but for regular ones I discovered there are large variations amongst them, the most important for me being the depth. High-capacity front loaders tend to be the deepest, sometimes spanning as much as 33 inches. Top loaders often are only 27 or 28 inches deep. You also have to allow for leaving about 4 to 6 inches behind them for the hose. Also, check the height and width to see how the washer will fit beside the dryer. Washer capacity is measured in cubic feet. 3.5 cu. ft. is on the smaller end. Whirlpool refers to 4.2 cu. ft. as “massive,” but even larger models exist. 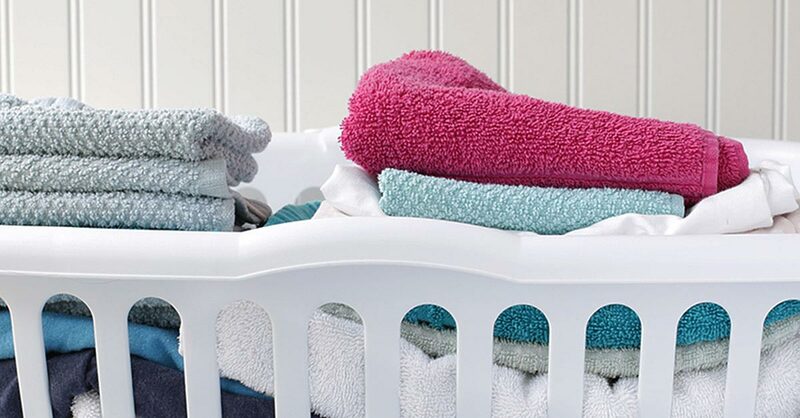 Capacity is extremely important if you do a lot of laundry weekly because larger capacity can seriously reduce the number of loads you have to do. Or, if you want to do things like wash king-sized comforters, you’re going to want a larger model. Washing machines come primarily in white and stainless steel, but there are other colors as well like black, red, and blue. Make sure to take a good look at your dryer and the room where the washing machine will be. It’s easy to get tempted by a color because it’s fun, but you will have to live with it for a while and most washing machines can’t be returned. If you live in a new house, chances are you’ll be fine. If you live in an old house especially, check your breaker’s capacity before you buy and compare it to the models you’re considering. If you can’t find the machine’s electrical requirements online, call the manufacturer’s tech support center and ask. If you don’t and you start using a machine that isn’t adapted well, you could cause components to overheat. This is especially important if you live in a small house or an apartment where space is at a premium. (Some models come with a washer and dryer built into one machine, too, but they’re more popular in Europe than the United States.) If you want your washer and dryer to stack on top of each other, make sure to check whether the models you’re looking at can. Generally speaking you’re only supposed to stack a washer and dryer by the same brand, to ensure that their depth and width are the same; also there are brackets designed to hold them in place. The last thing you want is your top machine tumbling off of the other onto the floor. 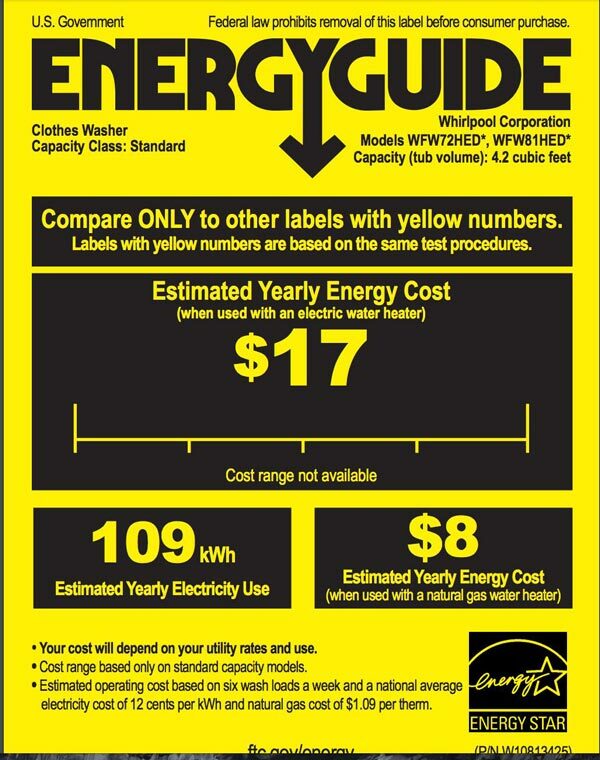 It also says that, “If every clothes washer purchased in the U.S. was ENERGY STAR certified, we could save more than $4 billion each year and prevent more than 19 billion pounds of annual greenhouse gas emissions, equal to the emissions from 1.8 million vehicles.” (Note that a “high efficiency” washer is something else; see the section on water efficiency below). There’s also a CEE rating. That stands for the Consortium for Energy Efficiency, which is a nonprofit organization that rates the efficiency of residential appliances. The lowest rating they give is CEE Tier I, meaning highly efficient; the highest is CEE Tier Three, which means the most efficient. Some washing machine models add different levels of water based on the amount of clothes you put in. Sounds great, but does it work? I’ve read reviews by consumers who say they have tested it by doing different loads, then watching with a flashlight through the glass washing machine door, but saw no difference in the water level. I’ve also read reviews by people who think their clothes aren’t getting clean enough because the water level doesn’t even cover them. It’s important to conserve water whenever possible, yet it seems to me that this is still a less reliable variable in terms of proven effectiveness. Basically this is a timer that starts the laundry load when you program it to. Personally this variable isn’t important at all. It’s easy to start the washer before you go to work, when you get home, or before you go to bed. If the machine is on the same floor as your living room or bedroom, consider the noise rating of each machine carefully. Noise is measured in decibels, but many manufacturers don’t list the decibels in their descriptions on online stores, so you may need to consult their own websites. Aside from the noise of the wash and spin cycle, there are often alarms that the washer makes at the end (AKA the “end of cycle signals”). Some manufacturers make their machines extremely loud and even musical. I have a Whirlpool Duet dryer and I had read reviews saying the alarms bother some people. To me they sound like a loud bagpipe being played. It doesn’t bother me and it even gives us a chuckle half the time, but I wouldn’t run the dryer while we sleep (as I used to with our old dryer that had no alarms) because the alarm would definitely wake us up. >> For a video of my Maytag Bravos on the spin cycle with a huge load of laundry (it has no central agitator and is very quiet), check out my review of the best top-loading washing machines. This is where things get really complicated! If you’re like me you just want to get your clothes clean, and cycles for normal, heavy duty, and delicates are enough, as well as for basic temperatures (hot, warm, cold). But, the higher you go price-wise, the more elaborate these wash cycles become. Above the $600 price point, you start getting into things like special sanitizing cycles. You want a slower and faster spin speed, and you can check the actual maximum spin speed of each machine on their specs sheet before you buy. The faster a washing machine spins clothing, the more water it extracts—and that means the less you will need to dry them. Spin speed is measured in RPM. I’ve seen a lot of consumer complaints about washers that don’t spin the clothes dry enough; I’ve seen others saying the washers spin them too much, causing them to wrinkle severely. One good article from White Goods Help about spin speeds says, “Did you know that although a manufacturer may produce lots of different washing machines, spinning at 800, 1000, 1100, 1200, 1300, 1400, 1500, 1600 and even 1800, many of these washing machines have exactly the same motors, and speed control modules inside?” Another good article is here. The most expensive washing machines come with complex onboard computers. When you look at reviews, it doesn’t take long to see that often those computers are the part that breaks down first and has to be replaced or repaired. This happened to me when I bought my clothes dryer. Within the first week I had to call in a repair ticket, and it took three more weeks before it was replaced. When you’re doing a lot of laundry, like I do for my family, that’s very inconvenient. Controls that you can tap or even just lightly graze with your finger are popular among manufacturers, but they can also be a real pain. It’s common to accidentally “push” the button just by standing near it (this happens with my fancy dryer). Personally I prefer the old-fashioned knob you turn (AKA an “electro-mechanical” control). In all my years those knobs have never broken or caused me any problems. Unfortunately they’re harder to come by because the models touted as “better” (i.e., the more expensive ones) also tout the touch-sensor controls as better. 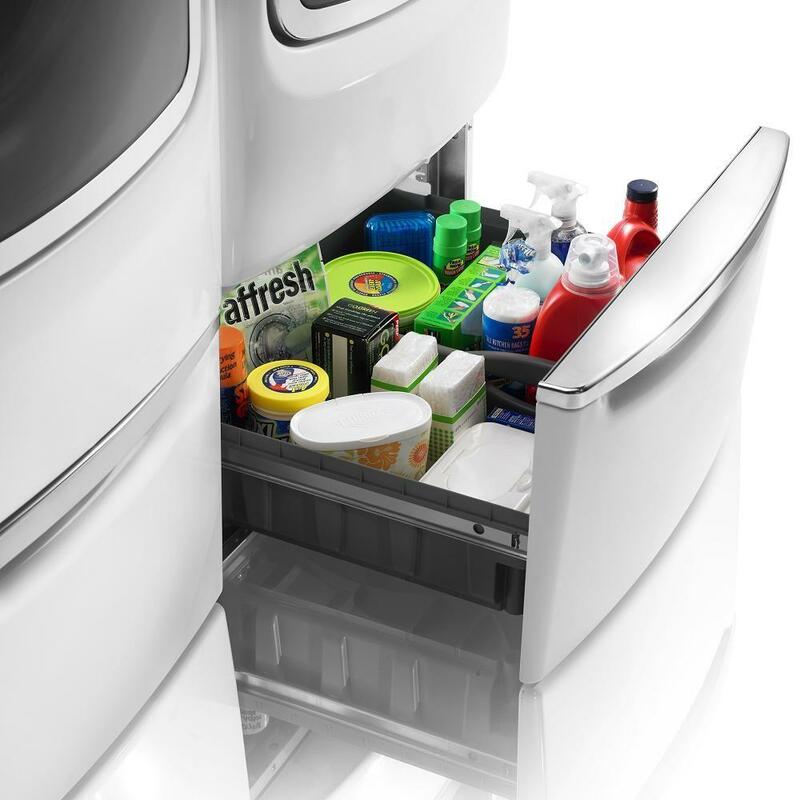 With smart technology the onboard computer automatically adapts the wash cycle to your clothes. That sounds great, but many reviewers complain that it doesn’t work well, and often people end up not using it at all. I don’t see this as an important variable to consider when buying. But, don’t let this be the variable that scares you off. 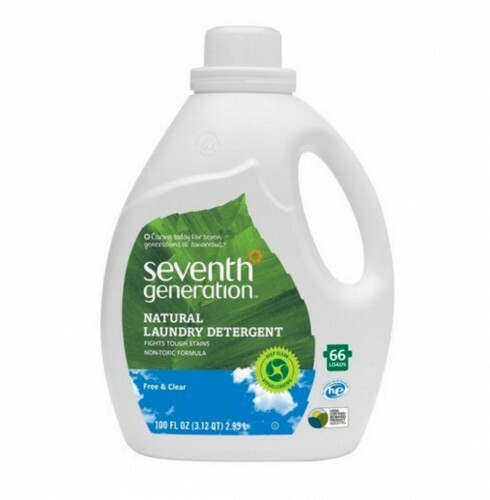 Most big detergent brands offer HE detergent in the supermarket and label them as such with a large blue-and-white HE icon on the front of the bottle, such as on the bottle shown here. Note: If you buy a machine that requires HE detergent, make sure to check the manual as to where you should pour it—usually in a dispenser and not directly into the tub with the clothes. Some machines claim to eliminate almost 100% of common household bacteria, but to do so you often have to mix an additive with the detergent. My attitude is that any additive that can clean that much bacteria can’t be good for your skin or the environment. I wouldn’t buy a machine based on this; in fact, if I did buy a machine with this feature I would never use it because I don’t want to add harsh chemicals to my laundry. This is supposed to clean stains better, but I’ve read many reviews by consumers saying they don’t think it helps. I wouldn’t make this a variable in my buying decision. Correct me in our comments section if you think I’m wrong! Some washers can have their door switched from opening on the left to right (or vice-versa). This is important based on where you’ll put it in your home. Apart from American pride, some people buy US-made machines because they tend to have larger capacity or wash clothes faster. I’ve used European-made washers at friends’ houses in Italy and London, and they were environmentally friendly but they did take a really long time just to do one cycle. But, the clothes did come out perfectly washed at the end. This is one variable that can make a big difference in overall expense. Some manufacturers are only offering 1-year warranties on their parts, which doesn’t inspire much confidence in me. Others have 10-year limited warranties. Getting a washer fixed can be expensive, so I think the warranty should be an important part of the buying decision. Phew! What do you think of this washing machine buyer guide? Please leave a comment. 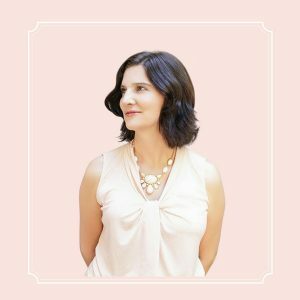 Great article that organized everything into a list! I’m about to buy my first new washer in 30 years, and was really overwhelmed by all the differences. I’m still afraid the new ones won’t measure up to my old Maytag, but perhaps I’ve just learned well over the years how to make every type of laundry come out perfect. Many reviews allude to the fact that you have to be willing to work at it a little in the beginning to get it right. Just FYI, I found your video on the huge load spin cycle first, and then came over to read the article. Thanks for such great information!! Thanks, Roberta!! I appreciate the feedback! The thing I don’t understand is how my family had the same washing machine for 25 years when I was growing up. The only reason we got rid of it is because we sold the house. My wife and I are wanting to get a new washing machine for Christmas, but we aren’t sure what kind of model to look for. I like that you suggest finding an ENERGY STAR certified machine because they use less energy and water. We are always looking for ways to cut back on utility bills and be more environmentally friendly, so this sounds like a good place to start our search. Thanks for sharing! After 10+ years my LG wants to retire, which means I’ve been researching and overthinking (on day 4) washing machines and which on is right for me. I came across your article “26 Best Washing Machine Models That Top Load 2016/2017”, grateful it included 2016. I have NO issues with last years models, they’ll be discounted, have the same or simular features as the 2017 models and there’s a good chance I could get the Mac Daddy of 2016 with a warranty for hundered$ less. Anyhow, I came across the Buyer Guide and super happy I did so. It was a good reminder that while pretty cool, bells and whistles do not take priority of what I need in a washer. Bonus! An answer to my ‘What’s CEE & Tier? question. Thank you! Awesome! Thanks for letting me know! I agree about buying last year’s models. Often the models are identical from one year to the next, except for some small added bells and whistles I don’t even want or need. Good luck with choosing your new one. It’s such a relief to have a washing machine up and working again. Wow! A really comprehensive list! Thanks! Choosing the right washing machine is a nightmare as I discovered while installing a couple at my apartment. Thankfully, the maintenance guys provided the reference of some good commercial laundry companies who were really helpful. As you asked, I am going to leave a comment. I haven’t finished reading the article, actually, because I froze at the sentence about running a dryer while sleeping. NEVER EVER EVER leave a dryer running while sleeping!!! Toasters are the most common cause of house fires, with clothes dryers running a close second. I was once one of a crowd that had to watch helplessly while a neighbor’s house burned to the ground due to a fire that started in the clothes dryer while the family was sleeping. Two people died in that fire. NEVER leave a dryer running while sleeping, or when leaving the house. Wow! That’s horrible about your neighbors. So sorry to hear it. Thanks for the safety tip. Very important.